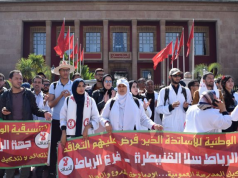 Rabat – The secretary general of the opposition United Socialist Party (PSU), Nabila Mounib, asserted that the Moroccan government has failed the education system. After her party released a statement in solidarity with contractual teachers, Nabila Mounib has for the first time spoken out. 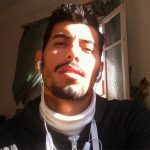 “The Moroccan government failed teachers and the education system through its destructive reforms under the guise of progress and development,” she stated. She explained that through its 2015-2030 strategic vision for the reform of education, training, and scientific research, the government passed a “destructive education reform bill,” a reference to Law 17-52. “The strategic vision, which seemingly champions equal opportunity and good quality education, falls short of expectations. 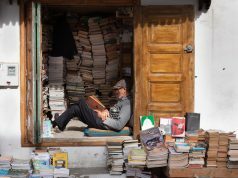 Morocco’s plans for education reform is like poisoned honey,” Mounib argued in an interview with Achkayen news outlet on March 17. She maintained that the 2015-2030 strategic vision failed Moroccans. Passed on August 20, 2018, Law 17-52, would impose school fees at secondary schools and universities. Mounib said it is a blow to poor families, who she said make up 90 percent of the population. 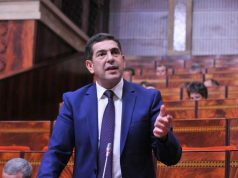 Mounib called on teachers unions to form a strong “popular front” with trade union leaders, activists, and politicians to fight for better education reform. Referring to the government’s recruitment of teachers by contract, Mounib stated that the alarming shortage of teachers can never be bridged unless teachers are employed in the public sector. Mounib stressed the government should integrate contractual teachers into the public sector to guarantee them ongoing and sustained training and, by extension, good quality education and fair competition. Mounib argued that unless the situation of teachers is addressed quickly, the government will soon be “driving in the final nail in the coffin of the public school.” She believes public schools are Morocco’s “last hope” to develop. On March 5, following strikes and demonstrations by contractual teachers, Nabila Mounib’s PSU declared in an official statement its support for contractual teachers.